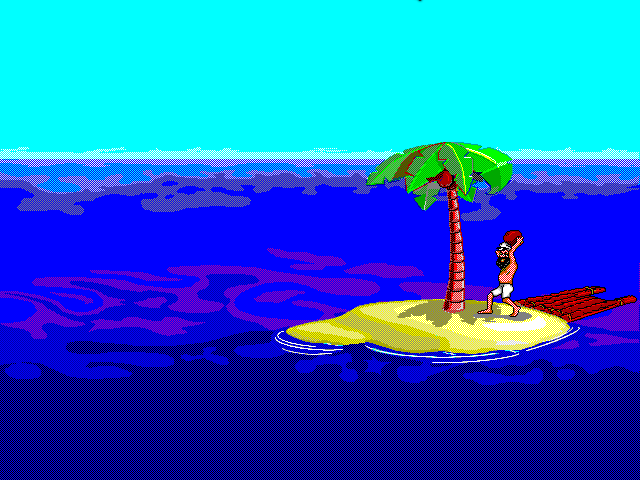 Johnny Castaway is the world's first story-telling, screen saver cartoon. 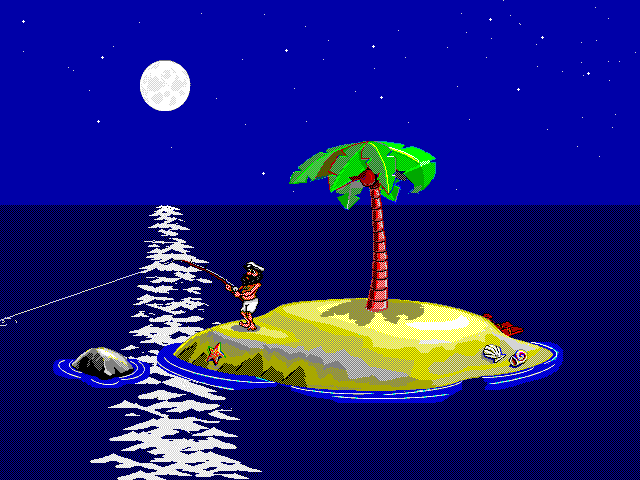 Sure, there are lots of screen savers out there, but you can only watch fish and flying toasters for so long. Cast off with Johnny and sail into an ocean of off-the wall gags and knock-out animations! Every time you take a break, Johnny and his cast launch into hundreds of hilarious situations. Will Johnny score with the tantalizing mermaid? 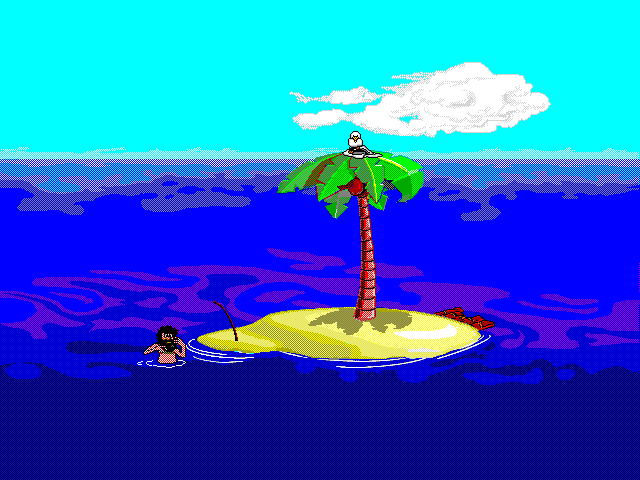 Can our desert island hero dodge the jaws of a castaway-eating shark? Will that passing party boat toss Johnny a line or a Lite? 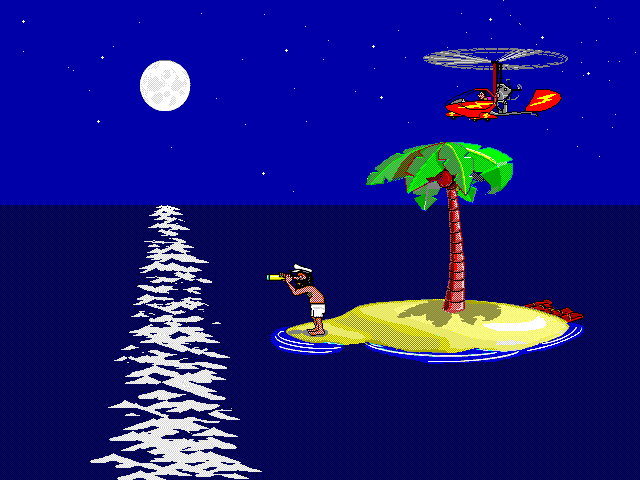 Kick back for a minute and Johnny Castaway floats into sight with a story that constantly twists and turns, bringing wave after wave of screen-saving surprises to your computer screen. Johnny even joins you in celebrating specific times of day and major holidays. 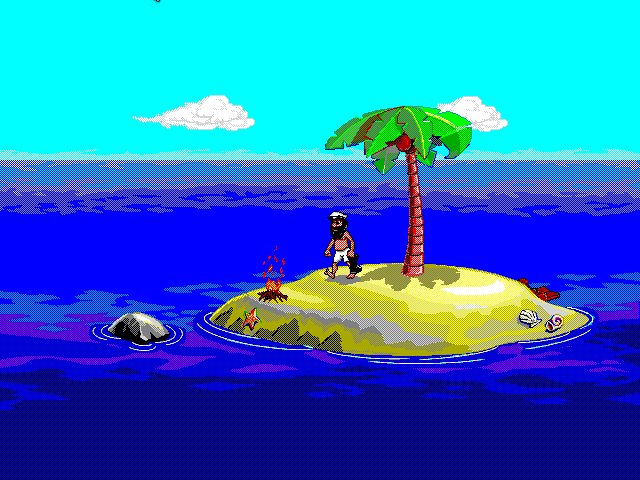 He'll have you amused for months with fresh, ever-changing adventures. Don't go adrift with bouncing blobs and swirling colors. When it comes to this kind of lively, laugh-filled entertainment, ordinary screen savers are left stranded high and dry. So, sign up, mate, and take a computer cruise with the latest screen saver rage!